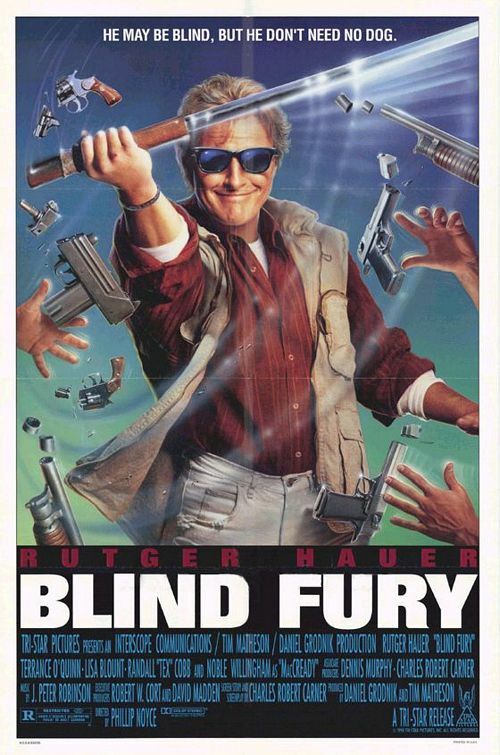 The true definition of a guilty pleasure, Blind fury takes the Japanese concept of Zatoichi and adds an eighties American flavour to it, and when I say eighties this film positively screams eighties. 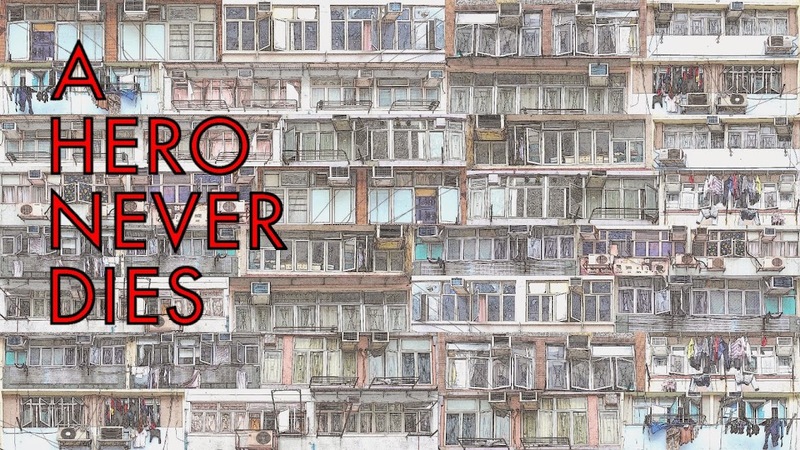 It is a ridiculous concept that has no right to be anything other than worthless, yet somehow it manages to be a really fun and entertaining action movie and one well worth your time. Rutger Hauer plays vietnam veteran Nick Parker, who was blinded and left for dead in Nam, he is rescued by villagers who nurse him back to health and teach him the ways of the sword. On his return to America he looks up his old war buddy Frank Devereaux played by Terry O'Quinn (Locke from Lost) who is mixed up in making designer drugs with some very nasty people, Parker ends up getting involved and finds himself having to take Devereaux's son on a road trip, providing protection from a whole host of bad guys who are trying to kidnap the kid. Cue lots of actions sequences with the blindman taking on and beating the bad guys even though they can see and are heavily armed. 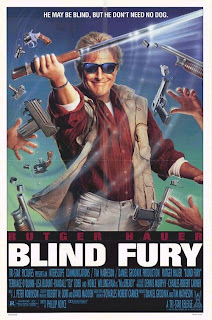 The key to the success of Blind fury is that it never takes itself too seriously with lots of funny lines and sight gags that together with an impressive and sympatheric performance from Hauer, who convinces in both his blindness and in the action sequences, and unlike many action films from this period he is a vulnerable and human character rather than being superhuman, making you care much more than you would expect in something like this. 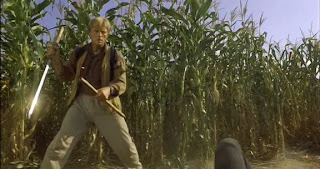 It is to director Philip Noyce's credit that this was the path taken with the movie I can only imagine what it would have been like with someone like Steven Seagal in the lead role. If all that isn't enough to tempt you into trying it, I have two more things, firstly it has a cameo from Sho Kosugi and secondly one of the best taglines ever "He's lucky he can't see what he's up against"
The region 1 dvd I viewed is surprisingly good with a strong anamorphic image for the age and budget of the film, some print damage is evident but detail is very good and this is unlikely to ever get a better release which is a shame as it really is great fun.